Josh Peck Talks About His Dope Book “The Second Coming Of The New Age”! This book is rated 3.9 out of 5 stars on Amazon and is the #1 Bestseller in the New Thought category. 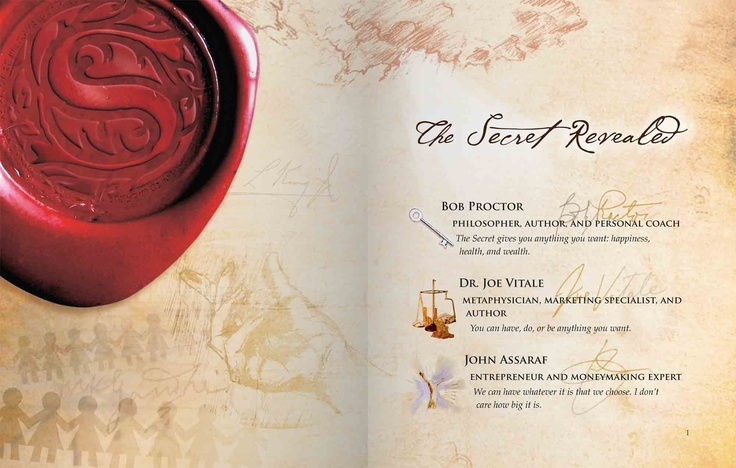 OFFICIAL Website of The Secret. I picked this title out randomly to share alongside The Secret. The 2 books are similar, so they’re in the same category. When The Secret made its debut around a decade ago, I was in college. Impressionable, eager to find love, success and all of the worldly possessions a woman could want. I had just broken up with my boyfriend and longest relationship, so my ears were itching for something like this. The idea that I could manipulate my life and control my personal success and HAPPINESS…was thrilling. I read the book, bought the DVD, made the ‘Vision Board’ the whole 9 yards. I was certain I could have anything I wanted at all because I was in the know! I had found the secret! So… Why am I sharing this post? I’m sharing the truth. Truth is…there is NO secret. Perhaps some of the things within the book are true, but certainly not as a whole. This book says there are no rules according to the universe .. you provide the feelings of having it now and the universe will respond…if you turn it over to the universe, you will be surprised and dazzled by what is delivered .. this is where magic and miracles happen…Create a Vision Board .. pictures of what you want to attract .. every day look at it and get into the feeling state of already having acquired these wants. This book is not for Christians. It’s the New Age movement…the lie from the pits of Hell and the devil himself (like in the Garden of Eden) that we can be like God or as gods. We cannot have any other “gods”…I just thought I’d put this out there. Jesus Christ is the one and only way to God the Father and to Heaven. In fact, He’s coming soon. Bible prophecy is falling off the pages going full speed ahead. Most are asleep to what’s really going on. The One World Government/New World Order is ready to go, just not implemented yet. Ever wonder why those jets are spraying chemicals way up high in the sky on fair, sunny days? Everything we know now must be brought down for the powers that be to have their way with a one world currency etc. Economic collapse is inevitable. If you are left behind or reading this after millions of people have disappeared, Don’t take the chip!!! The Mark of the Beast (looks like it may be the RFID implant under the skin) which will be put in the right hand or the forehead, will make you hell bound. Even if you have it removed. Read Revelation Chapter 13 in the Bible. You will read about the Antichrist and False Prophet. I encourage you to seek out the King James Bible. If you don’t have one, you can read it online at any of these links. Seek Jesus today. No one is promised another breath at any moment. And it’s about to really become a nasty nightmare down here on earth. Jesus is coming for those that are His, for The Tribulation is about to begin any moment now. The Son of God will be returning for the faithful One’s that belong to Him as His Church is not appointed to Wrath. Please look into things for yourself today. I pray you will.